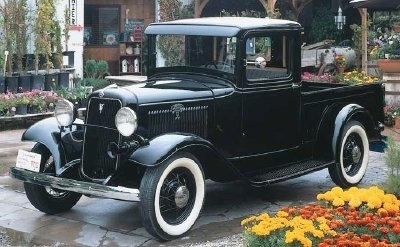 The pickup truck has been intricately intertwined with American culture as far back as the 1920s, when Henry Ford took notice of a preliminary pickup truck design that the military was using during World War I. Ford was the original designer of the civilian pickup truck, integrating it into a special Model T vehicle. Since the pickup's inception, people from all walks of life have found pickup trucks to be both useful and enjoyable to drive. Current pickup models range from being strictly utilitarian to over-the-top luxury models with extended cabs, leather interiors, and state-of-the-art navigation systems. Chevy Trucks - Earlier than Ford? Although Ford gets credit for designing the first bona fide pickup truck, Chevrolet made an effort that predates the Ford model. Chevy's Model 490 was available in 1918 and designed to go head-to-head with Ford. The 490 was named for its price tag, $490. These Chevy vehicles were offered with the frame only: Buyers had to purchase the cab, bed, and body for the frame to complete the vehicle. These parts were often made of wood during this era, and drivers usually purchased these parts from independent companies. 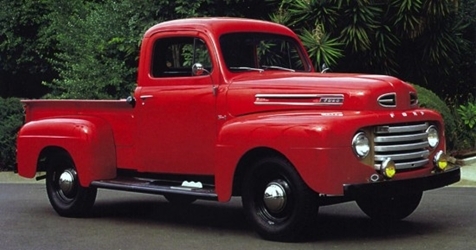 Billed as light delivery vehicles, these pickups were rated as half-ton, and they shared many features with cars. Chevrolet also offered a sturdier one-ton model designed for commercial service. Both of these vehicles were produced through 1922. The original Ford Model T Runabout With Pickup Body had a bed that was 56 inches long and 40 inches wide. Ford added extra leaf springs in the rear of the vehicles for extra stability. It featured a 40-horsepower engine with four cylinders, and it drew plenty of notice; the Ford company sold nearly 34,000 of these vehicles during the first year. To keep up with demand in subsequent years, Ford implemented the game-changing assembly line that has become an automotive industry standard. Over the following decades, pickup trucks gained power as well as options such as flat beds or beds with walls. The beds became longer, and cabs became roomier and more comfortable. These workhorse pickups were put to great use on farms, in the military, and in other industrial fields, such as construction, where hauling was a part of the job. A need for more fuel-efficient vehicles spurred design changes that included compact sizes during the 1960s and 1970s. Designs continued to evolve as each decade passed. Pickups began featuring more cab space to accommodate passengers and even entire families. These cabs were called crew or extended cabs, and they often featured three or four doors instead of just two. Larger engines also became popular, which enabled the towing of campers and boats as well as hauling more and more cargo in the vehicle beds. The one-ton pickups of today are able to manage more than 6,500 pounds of cargo, depending on the vehicle configuration. Luxury pickups hold a place of dominance in today's pickup lines. These sporty vehicles feature massive grilles, reshaped bodies, and every feature that discerning drivers could want inside, including on-board entertainment systems, in-dash touch-screen consoles, heated and cooled seats, backup cameras, collision-alert systems, and navigation systems. Newer crossover vehicles also combine the standard pickup features with SUV style, giving drivers the best of both worlds. No longer relegated to the farm or the construction site, pickups sit proudly in the garages and driveways of many urban and suburban drivers.